We live a highly globalized world and exchange of diet and nutrition secrets between the remotest of cultures has become very commonplace. The world has learned a lot, for example, from Indian Ayurveda or ancient Chinese medicine and the wealth of both these Asian practices has reached every corner of the world. Similarly, every culture has something or the other of importance to offer. 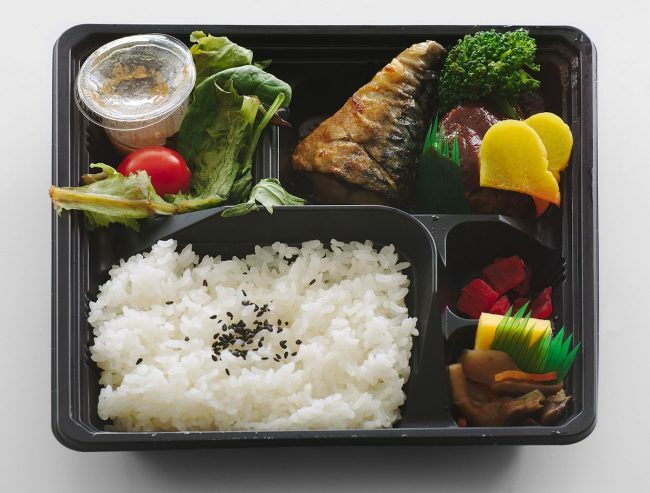 The Japanese single-portion take-out or home-packed meal, known as a bento box, is also a shining example of a cultural diet that has encouraged the idea of a wholesome meal, which contains all the essential nutrients required for a balanced diet. A traditional Japanese bento contains rice or noodles and fish or meat, along with pickled or cooked vegetables, in containers that have compartments to house the various contents separately. Any Japanese household will have their lunch painstakingly packed and uniquely styled in bento boxes for any member who’s travelling to work. Bento boxes have grown in popularity, not just because of the nutritional value of the meals, but also because they’re also aesthetically pleasing.Often foods are arranged in the bento to look like popular characters like Snoopy, the minions and, as in this case, the Simpsons. Such a ‘character bento’ is known as kyaraben. Another popular bento style is the picture bento, known as oekakiben. The food in this bento style is made to look like people, flowers, stuffed toys, flowers, etc. How cute does this oekakiben with the face to baby boys look! One advantage of the bento box for health freaks is the controlled portion size which keeps the calorie count in check, while delivering all the essential nutrients to the body. There are many combinations used by nutritionists who design bento meals for people wanting to lose weight by controlling their calorie intake. A Japanese ginger tofu bento box, for example, will have a total of just 400 calories, with 35gm carbohydrates, 20gm fat and 12gm proteins. A salmon teriyaki bento meal will have just 200 calories and will be high in lean proteins. Preparation of the bento box is an important part of Japanese culture. The meal is served in Japanese restaurants all over the world. All school-going kids are handed the box for lunch that is both nutritionally balanced and pretty to look at. So the next time, you run out of ideas of how to make your fussy eater kid load up on everything healthy, try making a bento with a little bit of everything for them. It might just work!